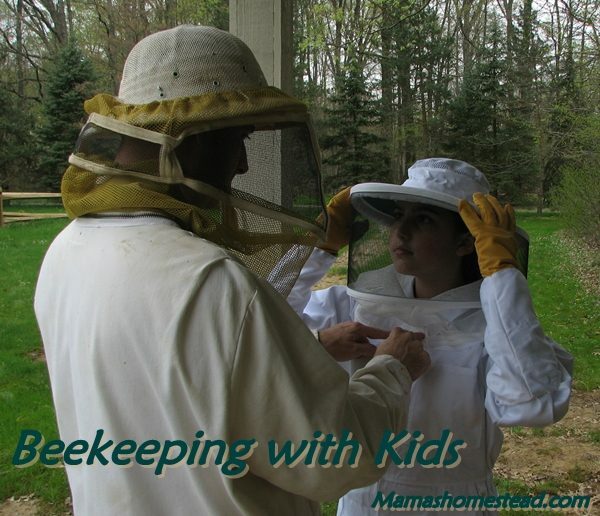 As you get ready to keep bees, there is some important equipment you will need to get started. This the equipment I would suggest for the beginning beekeeper. This, in my opinion, is probably the most important piece of beekeeping equipment for the beekeeper to own. A bee suit, if worn properly, will protect you from being stung while working with the bees. To suit up in a way to prevent stings a hat, a veil, gloves, and a full body bee suit must be worn. 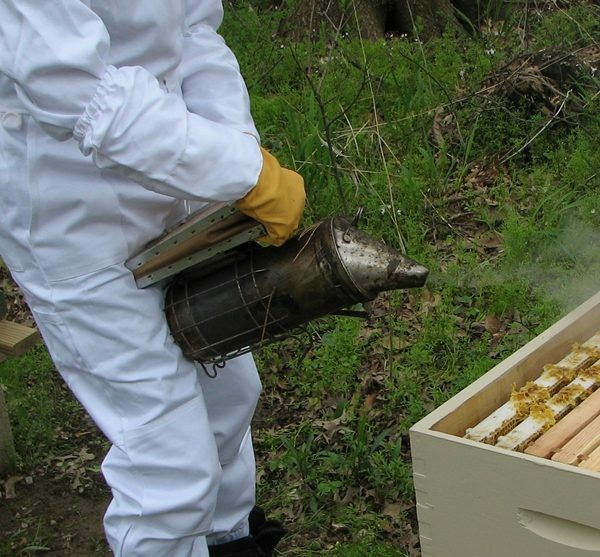 A smoker is a tool designed to puff small amounts of smoke into the bee hive to distract the bees. The smoke makes the bees think their surroundings are on fire and they begin to gorge themselves with honey in preparation to leave the hive. If you use a bee smoker, be sure not to smoke the bees too much, as this may cause them to swarm. You light a smoker using natural materials, like leaves, burlap, corn cobs, or pine needles. Be sure the whatever you decide to burn has not been treated with chemicals, as this may harm the bees. To open the hive (after the smoker is lit) approach the hive and blow a few small puffs of smoke into the front entrance of the hive. Wait a few minutes, then remove the top cover and blow a few small puffs of smoke into the hole of the inner cover. Remove the inner cover, blow a few more small puffs of smoke between the frames of the bee hive. Give the bees a few minutes to eat a little honey, then you can work in the hive. Warning: Lit smokers are HOT! It may cause burns to skin or burn/melt other materials, such as clothing, wood, rubber, plastic, etc. This is another method used to calm the bees before working with them. Fill a spray bottle with a 1:1 ratio of water and sugar and use this to spray the hive, just as you used the smoker. The bees will see the sugar water as a mess to “clean up” and will be distracted from what you are doing. Be sure not to spray the hive too much, the sugar water will cause a sticky mess that could damage a honeybee’s fragile legs and wings. This is my favorite piece of beekeeping equipment. A bee brush has a long wooden handle and soft bristles. It is a gentle way to get the bees to do what you want them to do. You can get the bees to go places you want them to go or keep them from going places you don’t want them to be by gently brushing or pushing them with the brush. Be careful not to be too rough. This tool can easily roll or smash your bees. A frame grip gives your frames a “handle” that will assist you in removing and holding a bee frames for inspection and harvest. Is also may help keep your hands or gloves clean while working in the hive. The term “bee space” was coined by Reverend Lorenzo Lorraine Langstroth, who designed the first removable frame hive in 1851. Langstroth said that when his bees had less than 3/8 inch (1 cm) of space available to move around in the hive, they would not build comb in that space. If there is too much bee space the bees will build extra comb to fill the space. If the space is too small for the bees to pass through, the bees will seal the gaps with propolis (tree resin gathered by the worker bees). 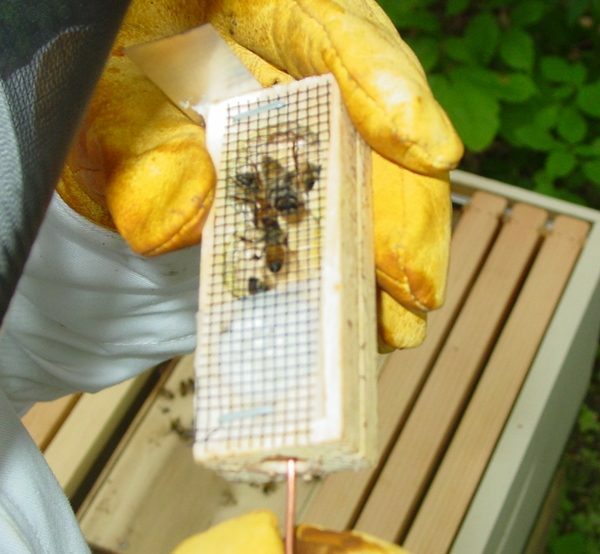 If everything is properly spaced in a hive, it makes easier to remove and replace the frames without damage to the honeycomb. 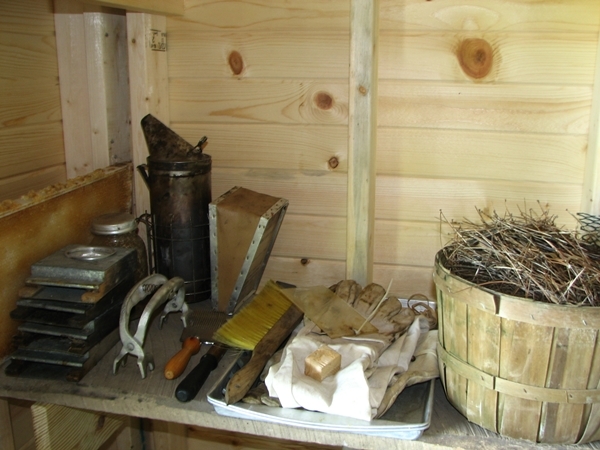 This piece of beekeeping equipment is may only be used for a short time. 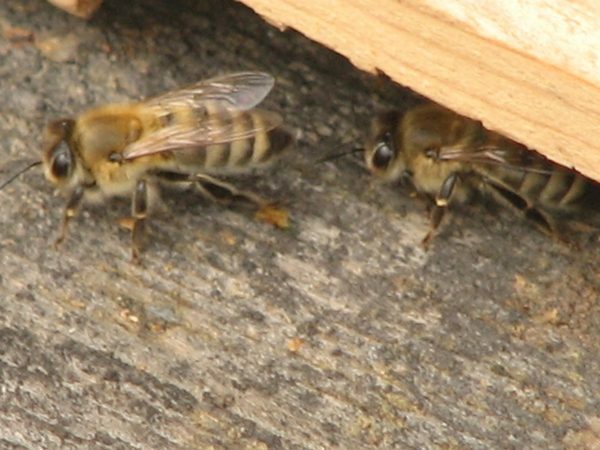 An experienced beekeeper will be able to tell if they have proper bee space by merely looking at the hive and no longer need the tool. Are you a beekeeper? What tools would you add?